7:20 AM – Officer responded to FM 471 and 9th St. about a crash. Officer spoke to the driver and he stated the crash occurred on IH-35 S. and the rest area when he hit a dog. Officer gave the driver a blue form and had his vehicle towed due to it not being able to run anymore. 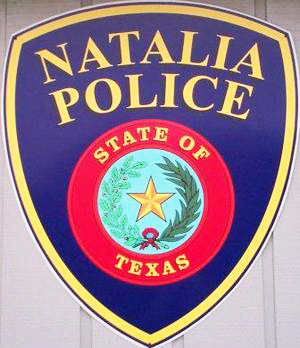 2:53 PM – Officer responded to Natalia High School about a stolen iPhone 8. Officer spoke to the student and mother of the student and was advised he left the phone in his band locker and later went back to retrieve it, but was unsuccessful. Officer went to a residence on Heather Hollow to where the iPhone was last pinged. No luck finding the phone. Officer cleared the scene. 4:42 PM – Officer responded to the 100 block of E. 6th St. about an elderly woman found deceased in her recliner chair. JP 4 Ramirez was called out to the scene to pronounce the time of death. Alta Vista Funeral Home was called to the scene to take custody of the body for proper arrangements by the family. 7:00 PM – Officer responded towards the Food King in Devine to assist in finding a white Dodge pickup with a gray bondo on the back fenders. DPS trooper located the truck at the 700 block of Hwy. 132. Officer made location and stood by with a male suspect and a female suspect. Troopers processed the scene for Devine PD and later transported the two suspects to Devine PD. Officer cleared the scene and went back in service. 3:23 PM – Officer responded to the intersection of 7th and Bartlett St. about a suspicious male subject walking across private property and was told to get off the property by the owner, but never responded back and kept walking across the property. The male subject was later discovered at a residence on CR 6717 and was advised not to walk across the property without the owner’s permission.